Food trucks are mobile. They venture from location to location serving up some of the finest meals on-the-go that many patrons seek. More importantly, they’re local cuisine, local businesses and local entrepreneurs hard at work to make a good business a reality. Many of the food truck owners are first time entrepreneurs. It’s their first time in business for themselves. Typically, it involves marketing their business for the first time as well. One of the strategies of telling their guests where they will be serving is through an online calendar. It’s a great way to help manage and organize where you’ll be serving on a given day and time. However, it’s time to understand why a food truck online calendar can’t be trusted 100% of the time. Online calendars are a great way to help the food truck owner organize and manage their food truck event bookings. You can simultaneously update changes to your calendar and your guests can view the changes in real time. So why would the calendar not be reliable or be trusted 100% of the time? Food trucks are a mobile business. Many unexpected things can happen to a mobile business just before an event occurs: equipment fails, truck breaks down, flat tire, supply shortages, staff shortages, inclement weather – the list goes on and on. Anything can happen days or just seconds before needing to arrive at an event to serve a large group. On the flip side of this scenario, when another truck breaks down, your truck may be available to fill in the void. Either side will experience a last minute change to their online calendars. In the midst of dealing with an issue that results in your food truck missing an event, updating your online calendar is usually the last thing on the priority list. The same goes for the truck picking up the event at the last minute …a lot of preparation is needed to just make it to the event on time, properly staffed and supplied. Many times, updating the online calendar of a new event picked up is typically last on the list as well. As a result, other apps that help to market food trucks in multiple cities rely solely on the validity of the food truck calendar content. If the information is wrong, so is the content shared by the food truck app and other websites. Another reason why a food truck online calendar can’t be trusted 100% of the time is the outdated content. Some trucks still operate with outdated content. They may use the calendar to list interested events but never confirmed. They may confirm an event but never list it on the calendar. Some events get cancelled due to rescheduling or inclement weather. The calendar content relies entirely on the food truck owner keeping all information current and accurate as possible. These other food truck apps that republish food truck calendar events have no clue how true or accurate the information is from their sources. However when the information provided is wrong, so is the trust factor of the information and the app source reputation. 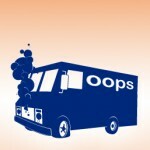 Why a food truck online calendar can’t be trusted 100% of the time is what frustrates many consumers. They’ve been burned. They took a chance to go food truck hunting for lunch. They use some local food truck app or follow the information they find online about various local food trucks and where they are serving lunch. The consumer seeks to find the food truck service location only to find the truck is not there serving. The truck may have cancelled the event due to poor sales at a prior visit, or the coordinator decided to just cancel the entire program of food truck lunch. Any of a vast variety of reasons can exists why food trucks are not showing up to serve. Reasons can be anything from the event coordinator to the food truck owners. As more of these false events occur, so does the deterioration of the consumer confidence in finding food trucks for lunch or dinner. They can venture to brick-and-mortar locations which are more likely to be open and serving, because of their physical location. Consumers enjoy food truck food but are frustrated with data they can’t trust. If only food truck owners had a way to share their true location when they arrive at their event! Sure, this can be done thru social media. Many trucks do it occasionally. So many more do not do it at all. It’s because there are so many preparation tasks to make an event happen. Unless you’re a social media marketing expert, you’re busy ensuring the truck operation is prepared and stocked to execute the service on the day of that event. Spending extra time updating one social media platform when there are so many, is time you may consider not beneficial if updating is so time consuming. Why a food truck online calendar can’t be trusted 100% of the time. The calendar can be an accurate tool to share where the truck will be serving next. But the accuracy is only as good as the owner who is able and willing to enter and keep the information updated at all times. This may be more of a time drain than originally perceived. As a result, the calendars don’t always get updated and consumers will have to take chances in locating your food truck. Food truck owners need a simple and quick tool to update their location upon arrival and when ready to serve. This tool needs updates to be done within seconds instead of minutes. With a good routine update at each event, consumer confidence can be rebuilt and more hungry and trusting guests can successfully find your food truck and patronize it at a higher percentage of events. Social media engagement with the guest is a key factor to rebuilding their confidence and support of your food truck business. – helping food trucks make every day a great day!